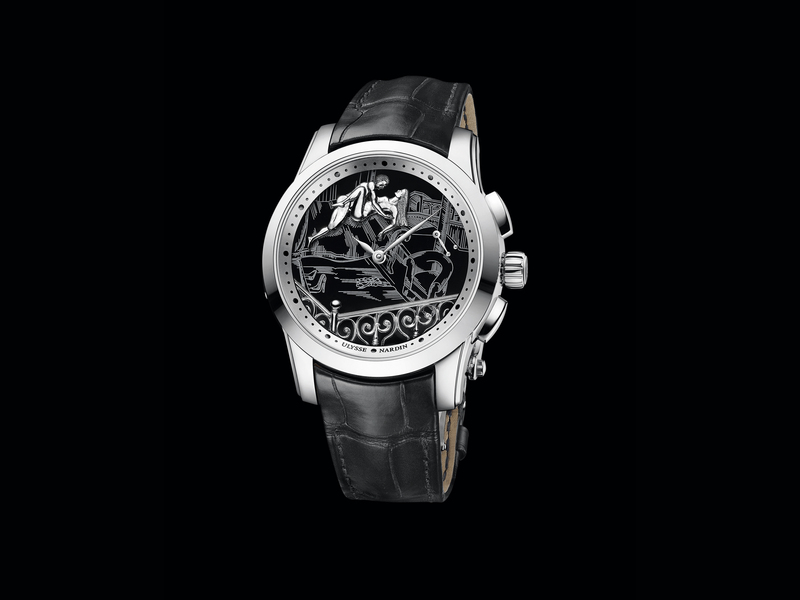 Jaeger-LeCoultre is a modern manufacture, often taking the lead in new developments coming from a stellar reputation when it comes to movement design and development. Yet, they will not give up on proven “old school” technology and craftsmanship until something new has clearly demonstrated that it is better as well. This approach has been part of Jaeger-LeCoultre’s DNA for decades and has resulted in many breathtaking and legendary watches. 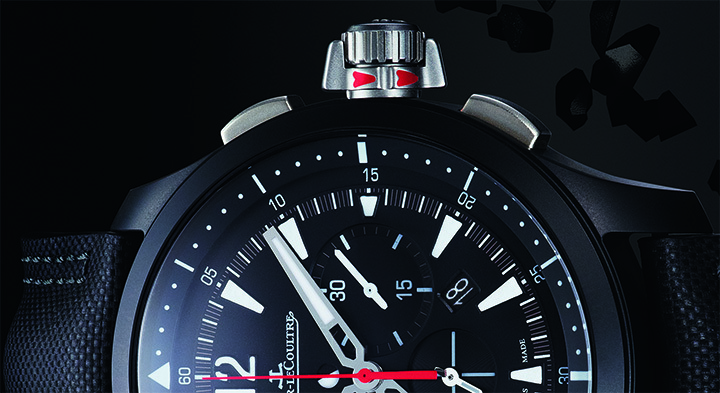 New to the Jaeger-LeCoultre line-up is the Master Compressor Chronograph Ceramic. This might not be the brand’s first endeavour into ceramics, but it is perhaps it’s tempting, especially if you are a frequent traveler. 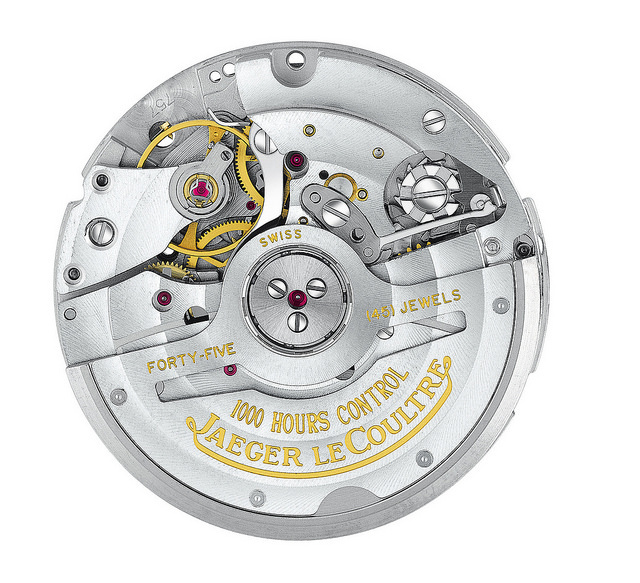 The reason for this is the calibre 757 that Jaeger-LeCoultre have fitted into this watch. This automatic movement is made out of 300 parts and together they not only tell you the time, but also offer you a chronograph function, date, day/night indicator and second time-zone. Indeed, all the complications that make traveling just that little bit easier and more pleasant. 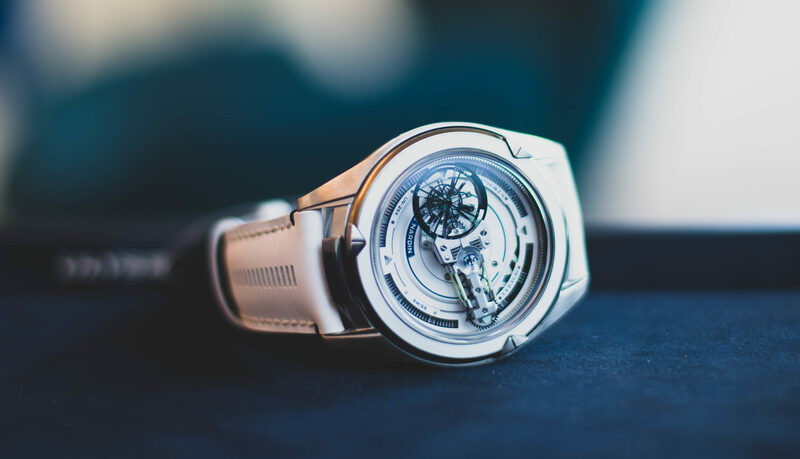 Being part of the Master Compressor collection means that the watch has a slightly more robust profile than its more classical cousins in the Master collection. With a diameter of 46mm it has a substantial presence on the wrist which greatly adds to the readability of the complications. The ceramic case, combined with a height of 14.3 mm, also makes the watch pleasantly light to wear. The best part however might not even be the movement, or the ceramic case, but how the overall design brings these individual elements together. Although the case is black ceramic, Jaeger-LeCoultre stayed with stainless steel for the pushers and crown. This adds an interesting element to the watch, and also draws more attention to it’s name giving element; the compressor crown. The design of the Master Compressor Chronograph Ceramic is also a slight departure from the design of the other Master Compressor watches. Although offering a lot of complications, the all black dial doesn’t look overly crowded. Although it shares it’s movement with the Jaeger-LeCoultre Master Compressor Diving Chronograph GMT Navy SEAL’s the lack of a diving bezel makes the watch look quite more civilized. This is also another feature that will most likely be enjoyed by many frequent travelers. 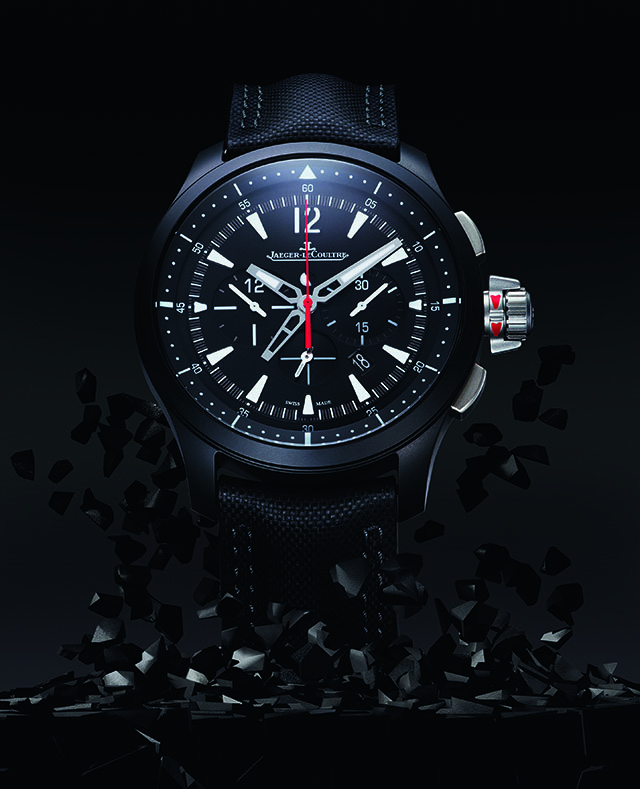 With the Jaeger-LeCoultre Master Compressor Chronograph Ceramic they have a robust sports watch that they can take through its paces, while at the same time is more than capable of holding its ground at formal occasions, drawing attention, but not obnoxiously so. Those interested in the Master Compressor Chronograph Ceramic should probably act fast. Jaeger-LeCoultre has limited it to only 500 pieces world wide, adding a dash of exclusivity to the watch… like it needs it!